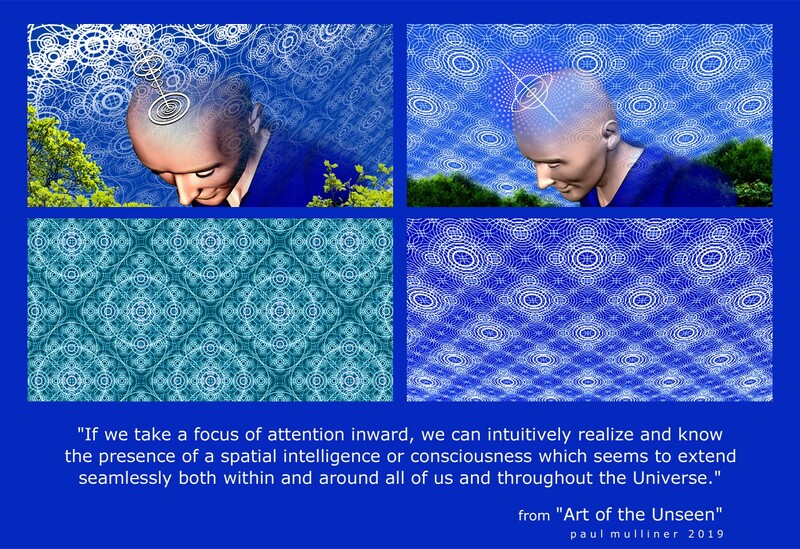 If we take a focus of attention inward, we can intuitively realize and know the presence of a spatial intelligence or consciousness which seems to extend seamlessly both within and around all of us and throughout the Universe. Intuitively knowing this silent presence inside ourselves is hugely calming and nourishing. We can reach, with our focussed attention, into a conscious space prior to all thought and apparently inside all of us everywhere. 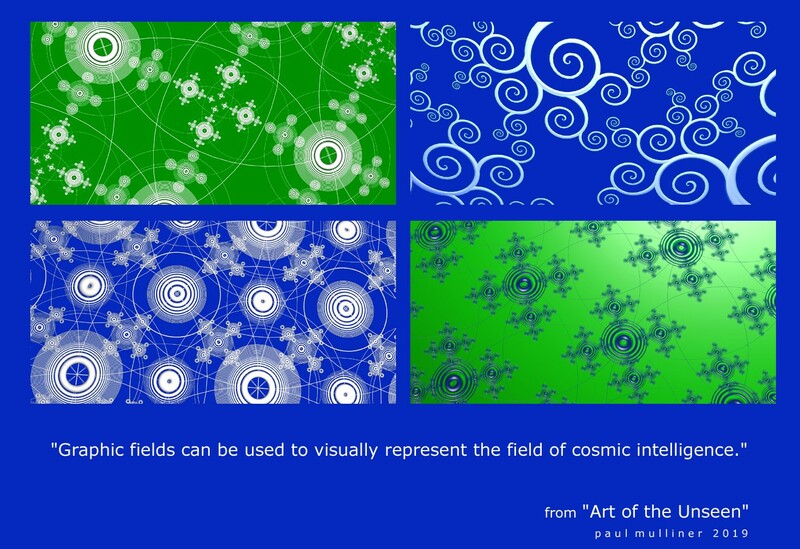 As we continue to hold a focus of attention within this cosmic intelligence, we can intuitively discern its spatial structure and express something of it visually, using graphics to represent the field of cosmic intelligence. 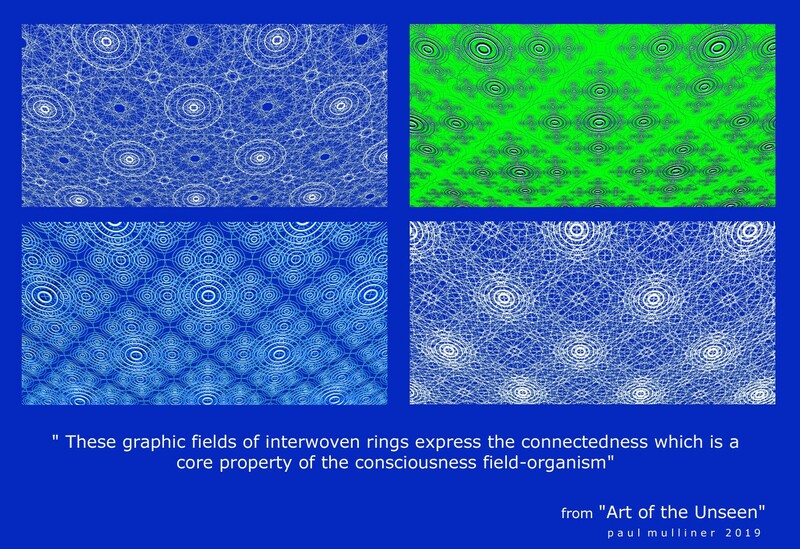 Graphic fields of interwoven rings can express the connectedness which is a core property of the consciousness field-organism. This spatial intelligence-organism is the primary stuff of the Universe and everything that lives is a continuously generated expression of it, a vibrational altering of itself that allows it to become visible and touchable as trees, flowers and human beings. This field-organism of consciousness and cosmic intelligence is always offering us intuitive guidance and help with our life in the world if we tune in to it within ourselves. 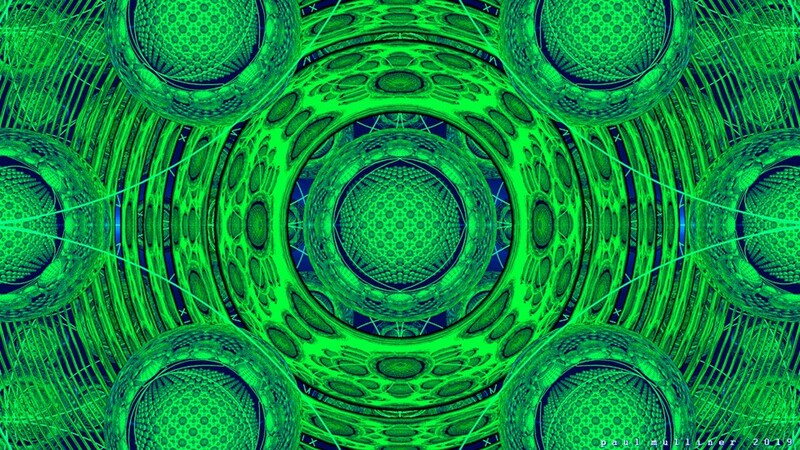 We think of ourselves as separate beings and of course our human body does appear to be separate from the space that surrounds it, but in a Universe in which all apparent material stuff is actually clusters of vibrational quantum-scale resonances within a single field of cosmic energy, our separation from everything around us is a rather convincing illusion. Taking a focus of attention inward regularly helps us intuitively realise the presence of an unseen cosmic intelligence organism which permeates all space within and around all of us. Tuning in to this cosmic field can help us find the intuitive guidance we need to live well and to also find solutions to some of the larger scale problems we have emerging for us on our planet. The spatial cosmic consciousness knowingly includes all of us within itself. Each one of us is entirely connected into and known within the whole Universe.